Regal Ideas provides a wide range of innovative products designed to make life easier for home owners and make business sense for contractors. Regal Ideas started with one product line years ago – Regal Aluminum Railing. Today, Regal Railing is the largest selling brand of aluminum railing in North America. The reason is simple – they created a product that is easy to install that lasts a long time with little or no maintenance. 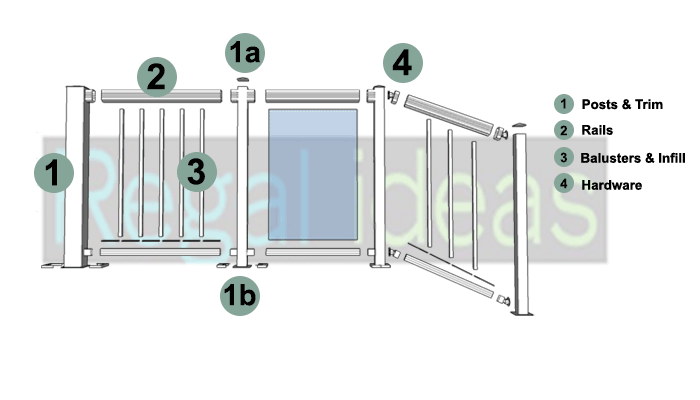 Regal Railing is the only code approved system for all jurisdictions in North America. Regal Quick-Step Aluminum Stair Stringers make adding stairs to a deck a breeze, and Regal Rail LED lighting makes any deck stand out. Regal LED Deck Lighting is the perfect match for Regal Railing.